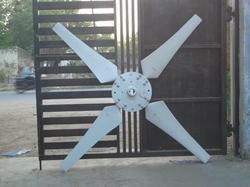 Prominent & Leading Manufacturer from Ahmedabad, we offer energy saver frp fan. Our clients can avail from us a wide range of Energy Saver FRP Fan. These are used to transfer process waste heat to the atmosphere. Our fans are fabricated by using premium quality material like aluminum alloy & FRP and are balanced with the variable pitch for high efficiency and low vibration. These energy savers cooling tower fans are extensively used in chemical plants, petrochemical plants, and other industry applications. Looking for Energy Saver FRP Fan ?